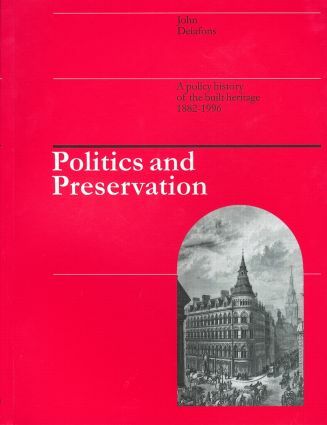 This book traces the policy history of urban conservation and its relationship to the town planning process and both are set in their political context. Part One deals with the origins of conservation and its cultural background. Part Two deals with the post-war legislation and the increasing scope of conservation. Part Three deals with churches and their separate control system, and Part Four brings the story up to the present time. New issues such as sustainable conservation and the latest government policy are addressed in the conclusion. This book will aid current practice and help to inform future directions.